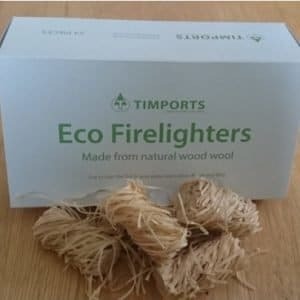 Kiln dried logs for wood burning stoves, dry with a moisture content below 20% typically 15% and the log length 10in (250mm), economical as they are sold in nets, so you can store in a small space. Sold as 50 large nets of quality kiln dried beech Logs. 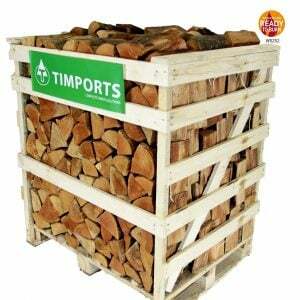 The volume of 50 large nets of logs from Timports is bigger than the volume of “large crates” sold by some of our competitors. Highly recommended wood fuel by chimney sweeps and stove centres. Approx. 8%-13% External Moisture Content. Below 20% In The Middle. The best price on the market, efficient and economical slow burning at very high temperature. Normal firewood logs are 35% less calorific than our kiln dried hardwood logs. It means that if you wanted to heat average size house you would need 10-15m3 for a winter, when at the same time you would use 6.5-10m3 of our professional kiln dried firewood product. Also our kiln dried hardwood logs are much cleaner than normal logs and minimize stove and flue problems. Winter over, time to restock soon with this excellent product, burns cleanly with great heat output and the nets make handling easy.